The Nick Lowe concert at the El Rey in Los Angeles was fantastic, of course, culminating in such a beautiful and sincere rendition of "(What's So Funny) 'Bout Peace, Love, and Understanding" that it actually made me weep. 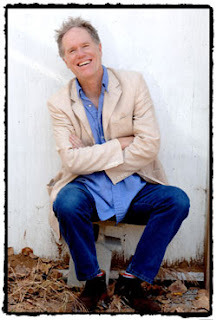 I didn't meet Nick Lowe, but I did meet Loudon Wainwright III! Loudon, another musician that I greatly admire and that I've seen in concert a couple times, was just hanging out in the audience. I, of course, spent two hours figuring out my approach tactics (Prince Gomolvilas, cautious minor-celebrity stalker). PRINCE: Are you Loudon Wainwright III? PRINCE: I'm a huge fan of your music. PRINCE: I also recently finished watching all of Undeclared on DVD, and you were hilaaaaaaaaaarious. Yes, I actually said "hilaaaaaaaaaarious."